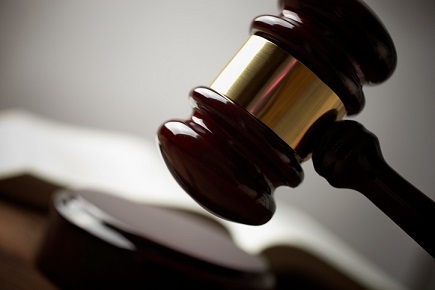 Arthur J. Gallagher & Co. (Gallagher) and its wholly-owned subsidiary Artex Risk Solutions (Artex) are among a group of defendants accused in a federal class lawsuit of conspiring to design, promote, sell, implement, and manage illegal tax-advantaged captive insurance strategies. The suit was filed on Monday (December 10) by a group of plaintiffs in the United States District Court for the District of Arizona– Phoenix Division. Other defendants named include: TSA Holdings, LLC (formerly known as Tribeca Strategic Advisors, LLC), TBS LLC (doing business as PRS Insurance), Epsilon Actuarial Solutions, LLC, AmeRisk Consulting, LLC, Provincial Insurance, PCC, and various employees of the companies. Plaintiffs, represented in the case by David R. Deary, Ralph Canada, and Jim Flegle of Loewinsohn Flegle Deary Simon LLP, are accusing Gallagher, Artex and the remaining defendants of managing illegal captive insurance strategies. In defense, the accused are arguing these captive insurance strategies provided highly rated insurance alongside legally reduced taxes. They promoted and sold the captive insurance strategies for the purpose of receiving and splitting substantial fees. Specifically, the plaintiffs have brought forward claims for breach of fiduciary duty, negligence, negligent misrepresentation, disgorgement, rescission, fraud, violations of the Racketeer Influenced and Corrupt Organizations Act (RICO), violations of Arizona’s RICO statute, breach of contract/duty of good faith and fair dealing, civil conspiracy, and aiding and abetting breaches of fiduciary duty and fraud. The lawsuit also alleges Gallagher, Artex and co. conspired together to funnel high-net-worth clients to each other via an undisclosed business referral network. In doing so, they stand accused of unlawfully abusing their positions of trust by fraudulently inducing those clients to pay substantial fees for insurance and other services linked with the captive insurance strategies.